A kitchen remodel can be complicated enough without the addition of drama. Cranky neighbors and spiteful construction workers can make your project go from disruptive to torturous in a hurry. You may want to brush up on your remodeling etiquette before passive-aggressive (or just aggressive) overtures from neighbors or workers consume your life. "Let neighbors know well in advance about your home remodeling plans and keep them apprised of progress, detail by detail. Tell them when work will begin, the approximate completion date, what work will be done and whether workers might have to come onto their property. If delays arise, promptly contact your neighbors to inform them of the revised schedule." "Make sure noisy power tools are only used during standard business hours. Reasonable hours are 8am to 5pm." 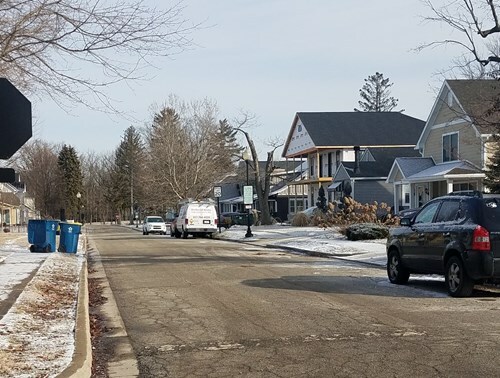 "Inform your neighbors of any large trucks entering the neighborhood and ask subcontractors to park on one side of the street only." Since you are paying the construction crew that is working on your home, you might not feel like they are entitled to anything extra. How you treat them is clearly your perogative, but small gestures can help keep morale from dropping. One suggestion is to provide contractors with bottled water or pop. This is not expensive and can help work move along, especially during the hot days of summer. Protect what you cannot remove; floors should be covered, dust curtains hung and a pathway defined for workmen to enter and exit the workspace. Use plastic sheeting and tape to seal off doorways into other rooms and cover bookshelves, furniture, and electronic equipment. This work is often included in the contractor's scope of work. Turn off the central air or heat when the workers are sanding floors. Keep extra air filters on hand and change them frequently. Ask that the construction area be swept at the end of every day to minimize the mess. If necessary, prepare a storage area in the garage or in another room near the kitchen for holding appliances, cabinets, and other items until it's time to install them. Or rent a storage space for a month or two during the construction phase. Sometimes it will be necessary to rent a large dumpster (like the one in the above photo) so the construction crew can dispose of large amounts of debris. Whether you use a large dumpster or not, if the construction crew is going to take debris outside your home, you should set up some ground rules for where trash is put, as well as some rules about how construction workers should exit your home. You may want to lay down temporary plywood sidewalks - they distribute weight and will prevent ruts in your lawn. Standing the plywood up at the end of each work day will help preserve the grass. Be sure to remove the plywood as soon as the work is done. To stay perfectly safe during a kitchen renovation, you should probably move into a different home. Unfortunately, most of us don't have that luxury. Safety issues during a remodel are plentiful and it's hard to recognize all the potential dangers. As hard as it might be, you will have to trust that the construction crew in your home is taking the necessary precautions to keep the work area and surrounding areas safe. While you may trust yourself to stay out of harm's way, if you have young children or pets, you'll need to be vigilant about their safety. For example, there may be construction materials stored in the work area or in the garage. Items normally found in the kitchen (e.g., refrigerator or microwave) or tools may be placed in areas of the home that are not child-proofed. Making sure your children feel safe and comfortable with the various workers coming in your house, and the various work zones is also important. Therapist Erin Johnson says children should be introduced to everyone working on the project and have a good sense of work area boundaries. If you have pets, you'll need to restrict their access to the construction area, especially during work hours. if it is difficult to keep work areas sealed off, or if your pets are easily frightened or upset by loud construction noises, consider finding a sitter or care-taking facility for them during work hours. Whether you have a family the size of the Duggars or you are living on your own, it's a wise idea to inspect and clean the work zone and surrounding areas at the end of each day. 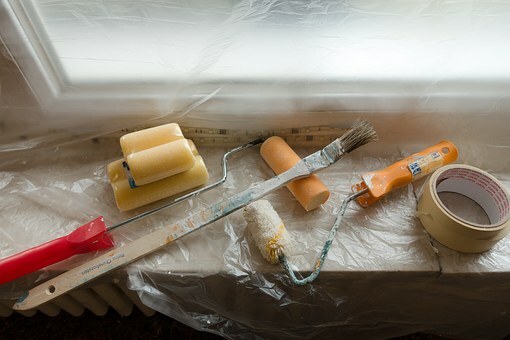 Yes, the remodeling crew should pick up after themselves everyday, but small things like nails or loose wires could get overlooked during the cleanup process. Stay tuned for more information on keeping clean in our next blog post. You've most likely packed up belongings for a move, so you will understand how the first part of this process works: gather as many clean, sturdy boxes as you need. The tricky part of packing is deciding what to box up, what to keep out, and what to take to Goodwill. An average kitchen remodel can last 4-8 weeks. So, you will not have easy access to the stored items for a period of time. You will also need to find a place to store the boxes in your home, or elsewhere. 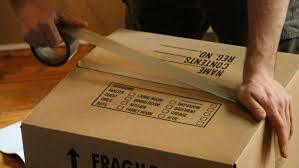 Consider packing or moving fragile items close to the space being remodeled. This will ensure they do not get dirty or damaged during the project. This includes wall decorations as vibrations during the remodeling process could damage them. As you pack, there will be a few items you will need to use during the remodeling. Pack these in a separate box or near the top for easier access. Remember to label your boxes. Don't wait until the last minute to start packing. You will want to finish this before the remodeling starts. If you are using a temporary kitchen, you will need to set this up with all the necessary supplies prior to kicking off the remodel. While unlikely, if your project gets delayed, resist the urge to unpack kitchen items.